I had a fun time making my own Bluetooth Speaker out of reclaimed wood for the box. This project took roughly an hour and a half and cost about $45.00 to make. There is an old saying, "wise as an owl". People are always saying that, but the truth is, owls were not always wise. Listed, in no specific order, are five different groups of musical instruments. Model train layouts come in a vast array of sizes, shapes, and length; it all depends on the size of room you plan on putting this miniature land in (and even then, who says you can't make tunnels through your walls at home... maybe mom...). My first layout (mind you I was only 8 years old) was a very simple circle. Later, I graduated to experimenting with a figure eight layout. What's wonderful about creating your own layout is that you really have unlimited options of items that you can add. For example; are you going to have your layout take place during the fall or summer? Will it be a coal freighter rolling through the country side or a passenger train traveling to its final destination in the city? The choice is completely up to you on how you want your layout look. 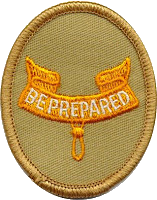 Sound as a warning that personnel will prepare to assemble for a formation. Signals the troops to awaken for morning roll call. Used to accompany the raising of the National Colors. Signals troops to assemble at a designated place. Sound as a warning to turn out for drill. Signals all officers to assemble at a designated place. Signals duties or drills to cease. Signals the end of the official day. To the Color is a bugle call to render honors to the nation. It is used when no band is available to render honors, or in ceremonies requiring honors to the nation more than once. To the Color commands all the same courtesies as the National Anthem. Signals all personnel not authorized to be absent to their quarters for the night. Signals that unauthorized lights are to be extinguished. This is the last call of the day. The call is also sounded at the completion of a military funeral ceremony. 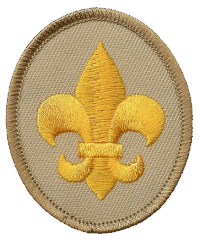 Today marks the 109th anniversary of the first organized scout camp. On August 1st, 1907, Lieutenant-General Baden-Powell gathered 20 boys from all different social backgrounds and tested his ideas for the book Scouting for Boys at Brownsea Island, England. The activities were centered around camping, observation, woodcraft, chivalry, lifesaving, and patriotism. The boys were arranged into the following patrols; Wolves, Ravens, Bulls, and Curlews. 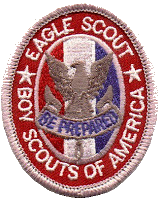 As this was the first Boy Scout event, the boys did not have uniforms. Instead, they wore khaki scarves and were presented with bras fleur-de-lis badges. 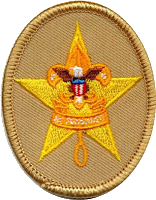 Marking the beginning of the use of the scout emblem. The boys also wore a coloured knot on their shoulder indicating their patrol: Green (Bulls), Blue (Wolves), Yellow (Curlews), and Red (Ravens). The patrol leader carried a staff with a flag depicting the patrol's animal. After passing tests on knots, tracking, and the national flag, they were given another brass badge, the scroll with the words Be Prepared, to wear below the fleur-de-lis. This location has since been a place of camping for scouts. 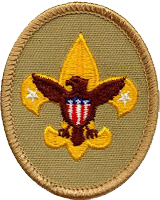 In 1963, a formal 50-acre Scout campsite was open and in 1973, a Scout Jamboree was held with 600 scouts in attendance. In planning our meals for camp, the scouts will request menu items that are usually not prepared at home due to most of the meals being cooked in dutch ovens. One of their absolute favorites is one called Mountain Man Breakfast. This delicious creation involves a pound of sausage, two pounds bacon, hash-browns, cheese, and 4 dozen eggs all in one dutch oven... it's no wonder the scouts always request it. The only problem is that after you eat this amazing meal, you tend to want to go back to your tent and hibernate until next spring. When planning you meals for camp, you want to plan nutrient/energy packed meals. My opinion, Mountain Man Breakfast is not the best meal when planning on an activity/hike in the morning. First, it takes a very long time for this meal to cook as you need to have some hot coals/briquettes for the dutch oven. Second, it is extremely packed with so much starch, grease and fat that it will physically slow you down rather than give you the energy that is needed. Through experience, the best breakfast I have had while camping is granola with almond milk poured over and fresh banana's sliced into it. It's not extremely full of fat, but sticks with you until lunch and gives you the energy needed during your hike. I am not saying to never make Mountain Man Breakfast... because it truly is a delicious breakfast. 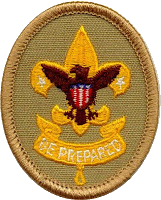 But, while working on the Cooking Merit Badge, plan your meals accordingly to the activities you have planned. If backpacking through the Uintas, do not plan any meals that involves a dutch oven (very heavy to pack in and out). And, if cooking for twenty scouts at your week-long scout camp, you probably do not want to use your backpacking stove to cook your group meals on. Use the right tool for the right job and always be prepared. There are a ton of different brands, colors, materials, and varieties of paddles for canoeing... but, they all have five things in common. The following is a list of the parts of a canoe paddle. Here are a few tips from an old Scoutmaster that I have found to be beneficial while using a canoe paddle. Make sure to never shove off, or store the paddle by the tip. In wood paddles, this usually results in the splintering of the paddle as it creates small little cracks that the water can enter the paddle, swell up the wood, and eventually crack the paddle as it dries out from your last adventure. When paddling, have one hand covering the grip from the top and the other hand on the shaft. Doing so will result in the best leverage and increase your speed and control. Place the blade fully in the water, up to the throat, when the water is deep enough. This will result in a longer draw and causing fewer strokes to conserve energy. Do not paddle with your hand near the throat. This usually ends up with your hand or fingers finding out how hard and painful the sides of the canoe can be. One of the ways to be a good citizen is to know your surroundings in your neighborhood or city. If you, or someone you know has an emergency and needs to rush to the hospital... do you know where it is? 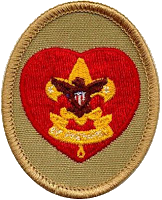 With requirement 2 of the Citizenship in the Community merit badge, you have the opportunity to map out your community. The tool I have found to work best for this project is Google Maps. Using your google account, and going to "My Maps" within the Google Maps platform, you are able to create, manipulate, and share your map with others. In my map I chose to focus on Provo, UT. What are some historical / interesting points of interest around your neighborhood?
. I have heard on a few occasions that you do not know where your going unless you know where you have been. This is very true when it comes to genealogy. You do not fully know who you are until you know who you came from. For some it might be knowing why and how your family is really good at making raspberry jam. For me, it's understanding why there is a love of working with your hands and gardening. Usually we tend to like and do the same things that our parents like and do... and where did they start? Traditions in my mind define our families. In a good way our traditions separate us from others (how boring would it be if everyone was good at everything) and make us unique in this big melting pot of a world. Imagine crossing a swampy area in your canoe and you hear the distance rib-it rib-its. Do you know if it is a frog or a toad?... The hint is in the area where you hear the croaking. Since you are in a swampy area, the chances are extremely high that you just heard a frog. Even though frogs and toads are of the same animal group they are very different animals. Below are some ways to identify between a frog and a toad. Not many predators. Their skin lets out a bitter taste and smell that burns the eyes and nostrils of its predators. Awesome Critter Video posted on YouTube by NatureNorth of the 7 week hatching and growth cycle of a frog.